While you are already familiar with the Facebook and its amazing interface, there are still plenty of interesting features which you haven't tried yet. These may not be a special Tricks but surely they are of a great help for power users. Many of them work instantly while you are on the desktop and make your social networking experience more interesting. These are small add-ons and third party apps made available for million of users for free which can simplify the regular FB activities such as updating and viewing messages, downloading albums at a single click, notifications and surely add more fun. hit Enter. Now you will be able to do any changes with normal editing. This trick works at most of the places. Enjoy! Many album downloaders are available on the web. Just like downloading Videos with YouTube Add On, these add-ons and utilities work flawlessly with a single click. b. PhotoGrabber - Using this utility you can download Photos of your selected friends right on your desktop. No need to select each and every photo again by going to individual albums. Using PhotoGrabber you can do following things. Download photos in which your friend is tagged in. Albums in which your friend's photos are available. Albums uploaded by your friends, Comments, and tags on photos. 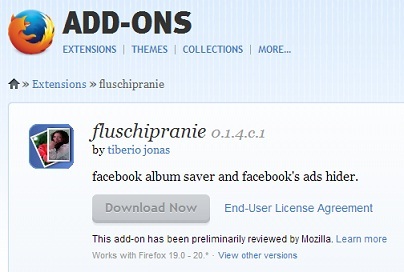 After installing the plug-in in Firefox, just right click on the Album in FB and click "fluschipranie Download" option. Give a "base name" while downloading and photos will be tagged in series as "base name 1", "base name 2" etc. or "example 1", "example 2" etc. PhotoLive is great extension currently available in Google Store. You can get photos as HTML web file format which is easier to save on your online account. 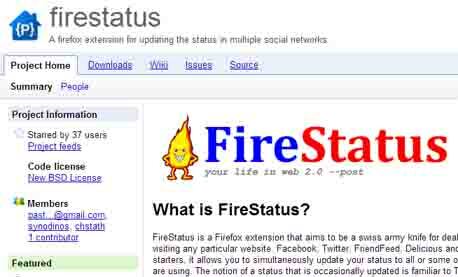 Utilities such as FireStatus allow users to update many social sites including Facebook, Twitter etc. without logging into them individually. Forget the hassle of visiting every page many times a day and hundred times a week. Stay updated on your network with a single interface. Facebook has a tab button to put certain members off on the chat and you can display them as Offline. 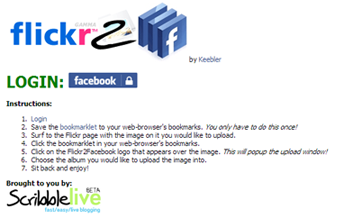 Using Flickr2Facebook you can easily get your Flickr photos to go on Facebook. This is an unofficial uploader currently available. Applications such as Xobni, Facebook Sidebar Gadget, Facebook AIR, Facebooker are some of the freely available so that you can use Facebook without going to the web and run as a regular windows application. Using NutshellMail Application you can easily connect Facebook updates directly to be mailed to your regular mail account. a. pageyourself is great utility using which you can easily create your own Quiz on Facebook. b. AgoraPulse is again best option for complete survey and quiz taking online. It provides detailed analysis and accurate data. 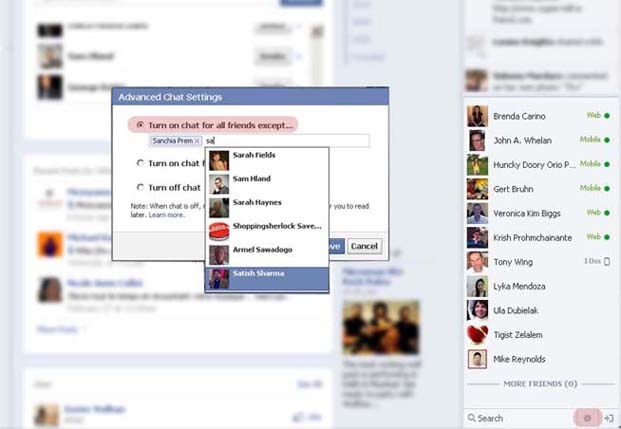 Applications Such as Digsby and Gabtastik will help you be on Facebook Chat without using regular Facebook on the web. It also saves a lot of Kbs as it does not require a browser and works on minimum connection speed. Firefox Add-on named Facebook Messenger is great utility supported by Mozilla to instantly get in touch with friends. It does not require to special Facebook site visit and login separately. 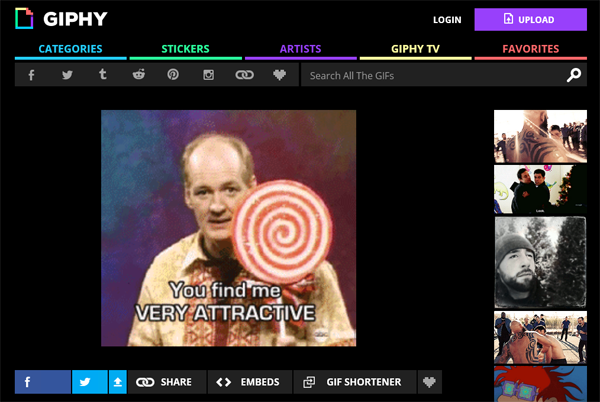 Gizmodo finally unveils the facts of uploading GIF files on Facebook through Giphy. Giphy is a gif search engine where now you can embed, link and share your own gifs anywhere on Facebook and other sites. Basically, Giphy created a code that loop on Facebook. 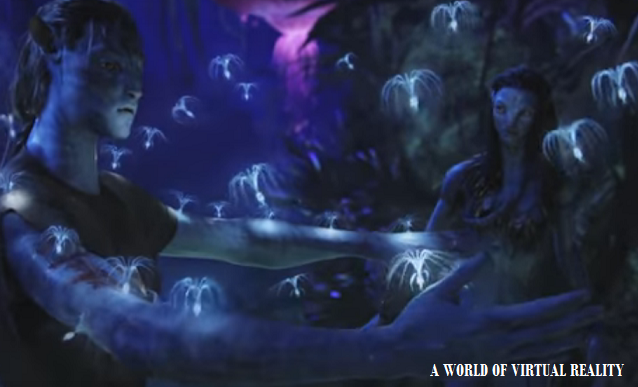 Either copy a web URL of the gif page on Giphy or embed using "share GIF". Unfortunately, Facebook still denies an official usage of GIFs. There is also a traditional trick available to put GIF on Facebook anywhere. See here "Post Animated GIFs on Facebook." There is a little fun I found on the web while searching some facebook tips. Just go to your FB account and Click Home. Do the following tabs properly. and then scroll up or down. You will see shining circles on Facebook with diamond ring effect. Follow below simple steps to edit already entered FB comment. 1. The instant you put any comment on FB, immediately an 'x' button appears at top right. 2. In the appearing textbox you can edit your comment. 3. You can do this editing only within 1 minute so be fast. Yes, you can put empty status or comment on facebook, just follow these steps. 1. Login and go to status update field. 2. Press and hold the Alt key and enter 0173. 3. Now release the key and press share the post button. Done! You have just entered empty status or comment. Follow the article by clicking on the link above. a. Photon - It adds menus to FB photos which help the user to download, share and edit. b. Facebook for chrome - It is FB customized user interface for using within Chrome. You can do most of the fb things with this small extension. c. Adblock plus - It removes ads from Facebook and works well for almost all the platforms. d. Social Fixer - It filters news feed, hide posts which you have already read, seen notifications etc. It has customized the toolbar. 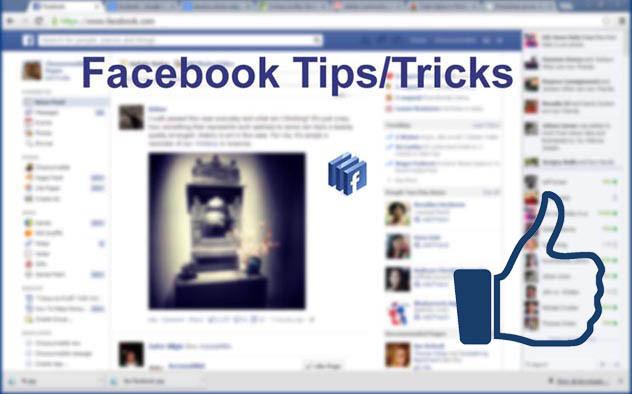 e. Photo zoom - When you hover on an image in facebook, it is enlarged. This extension works pretty well while compared with much other available. f. Download FB Album Mod - This great extension lets the user download all the small and big images on his FB account. g. Hootlet - Hootlet combines many social media platforms at one place. With this extension, you can do most of your social networking things by staying at one tab place. h. Facebook Notifications - With this extension, you do not often log in to fb. All updates will be seen on chrome itself. i. Facebook Color changer - If you wish to try different look to your conventional FB theme, you can try any other color for FB site. j. FB Dislike - Yet another amazing addition. Like is a fashion nowadays. Lot more things to dislike and yes this extension does the same. Linux based Backtrack 5R3 is yet another attempt to hack Facebook accounts. Be aware if you let someone note down your IP address. Well, its pretty easy for anyone around you. Install Backtrack from their Site. Type ./set to open "Social Engineering Tool Kit"
Now select "Social Engineering Attacks", type 1 and Hit enter. Select option 2 which is "Website Attack Vectors"
Now select 4th option "Tabnabbing Attack Method"
Select option 2 "Site Cloner"
Paste your IP in the address bar and while user log in to your page, the details will appear on your terminal. To know you IP address just type "ipconfig" in a terminal. Please note this FB section is for educational and awareness purpose only.